Bill was born and raised in Peoria, IL. In 1976, he graduated from the University of Notre Dame with a B.A. degree in Government. He received his law degree (JD) at the University of Iowa graduating with honors in 1979. He has been practicing law in Central Illinois since his graduation and admission into the Illinois Bar. Legal ability and ethical standards ratings are published each year by the Martindale-Hubbell Law Directory. Mr. Wombacher has the highest possible rating of AV. The legal ability rating is "A" which means he is rated as very high to preeminent. The "V" rating means that he embraces faithful adherence to professional standards of conduct and ethics of the legal profession. He is also listed on the Bar Register Of Preeminent Lawyers by Martindale-Hubbell. These ratings are developed for individual attorneys by soliciting confidential opinions from attorneys who have ratings themselves and those who do not. Mr. Wombacher practices in three (3) primary areas. First, Mr. Wombacher represents persons who are no longer able to work and are applying for disability benefits. As a social security disability attorney he has represented persons before the Social Security Administration (SSA) since the early 1980's in seeking Social Security Disability benefits (SSD) and Supplemental Security Income (SSI). These claimants have significant mental and/or physical disabilities which prevent them from working. The disability hearing office for the Social Security Administration (ODAR) in Central Illinois is located in Peoria. He is a member of the National Organization of Social Security Claimants' Representatives (NOSSCR). This is an organization of attorneys and others who assist those with disabilities. He has represented persons at all levels, from initial application, reconsideration and hearing. Mr. Wombacher has one of the largest social security disability practices in Central Illinois and has appeared in hundreds of hearings before the Social Security Administration. Mr. Wombacher practices in the area of Elder law. This area of law involves Medicaid planning and asset protection advice for those individuals entering nursing homes, planning for the possibility of disability through the use of powers of attorney for the both health care and property, guardianship, estate and tax planning, probate and estate administration, preparation of wills, living trusts and special or supplemental needs trusts. Many of the special needs or supplemental needs trusts are prepared for the benefit of disabled children by their parents and grandparents. He represents clients primarily in Peoria, Tazewell and Woodford counties. This requires the knowledge of Illinois Medicaid rules and regulations. He was certified as an Elder Law Attorney (CELA) by the National Elder Law Foundation (NELF) in 2003 and recertified in 2008. He was the third attorney in Illinois certified as CELA and is the only practicing Certified Elder Law Attorney (CELA) in downstate Illinois. Lawyers who are certified as specialists have been recognized by independent professional certifying organizations as having an enhanced level of skill, as well as substantial involvement in established legal specialty areas. Certifying organizations require lawyers to demonstrate special training, experience and knowledge to ensure that recognition as a certified specialist is meaningful and reliable. Bill joined as a charter member of the prestigious Council of Advanced Practitioners (CAP) of the National Academy of Elder Law Attorneys (NAELA). The CAP is an invitation only Council providing specialized member benefits to NAELA's Advanced Practitioners. Membership in CAP is available to preeminent Elder Law Attorneys. Eligible Candidates must be: 1) a National Academy of Elder Law Attorneys (NAELA) member for a minimum of ten years, 2) AV rated by Martindale Hubbell, and 3) be either a NAELA Fellow or a CELA (Certified Elder Law Attorney). He was selected by other attorneys in Illinois and recognized by Chicago Magazine as an Illinois Super Lawyer in the area of Elder Law for 2007-2011 and again in 2009. 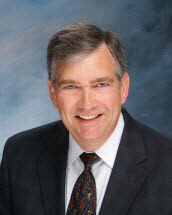 He is a member of Estate Planning Council of Central Illinois. Mr. Wombacher also practices in the area of public transit law. He was General Counsel for the Greater Peoria Mass Transit District (CityLink) for twenty-eight years. He continues to represent the District on specific assignmernts. He is the General Counsel for the Illinois Public Transportation Association. This organization was started in the early seventies as a state organization representing public transit agencies. Mr. Wombacher is the General Counsel for the Illinois Public Transit Risk Management Association which is a risk pool which provides a liability and property self insurance program for the Greater Peoria Mass Transit District (CityLink), the Champaign Urbana Mass Transit District (CUMTD), the Rock Island County Metropolitan Mass Transit District (MetroLink) and Rides Mass Transit District. He has also acted as Special Counsel to the newly formed Stateline Mass Transit District (SMTD) in northern Illinois. In addition to the defense work he has done in the public transit arena, he has done litigation defense work in the past for Home Insurance Company, Western States Insurance Company, Casualty Insurance Company, Transamerica Insurance Company, Pekin Insurance Company, Westfield Companies and Employers Mutural Insurance Company. This has included civil litigation and workers' compensation matters. He has also done litigation defense work in the public utility industry. Due to his experience in this area, he has also represented personal injury victims in civil cases as well as injured workers before the Illinois Workers Compensation Commission.